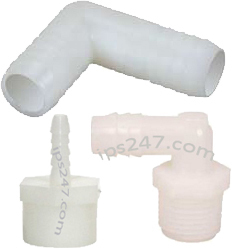 Nylon fittings often used for water lines inside appliances, and to convey various flammable fluids and solvents. 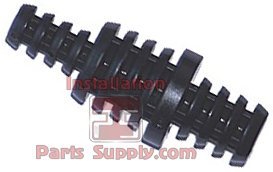 Nylon fittings offers high resistance to chemical reaction. 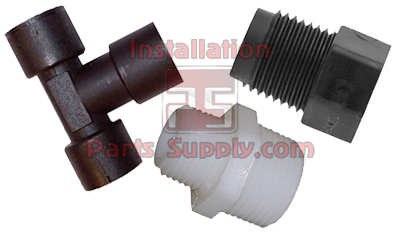 Nylon fittings are widely used for automotive and marine applications as well as general fluid handling. White Nylon - made from virgin grade formulated to resist physical stress and abrasion. This material meets F.D.A. requirements of Code of Federal Regulation part 177.1500 and is therefore suitable for food contact surfaces.